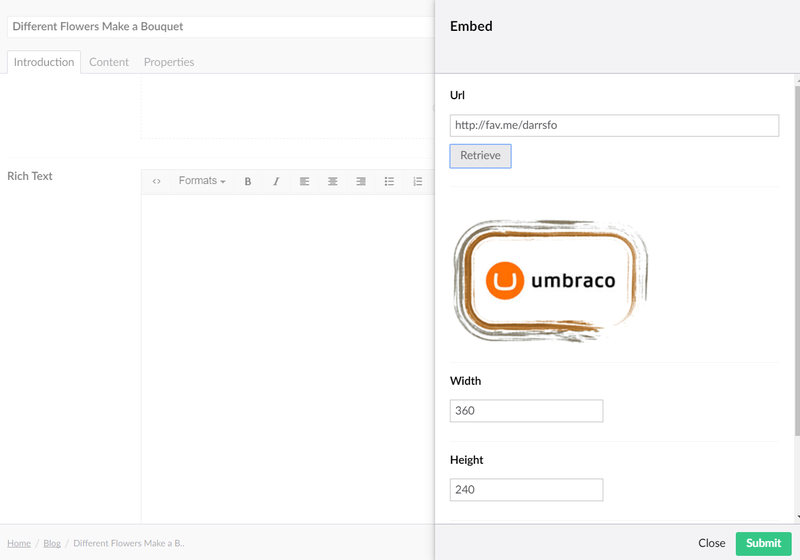 The Rich Text Editor in Umbraco has an 'Embed' button, that when pressed, slides open a panel to enable editors to paste the Url of a third-party media resource to embed in content. It is the job of an 'Embedded Media Provider', to accept the pasted Url, and to write out the appropriate embed markup for the provider associated with the Url. ...and then map the 'url' of the provider (using a regular expression) to the relevant generic provider in the /config/embeddedmedia.config file. 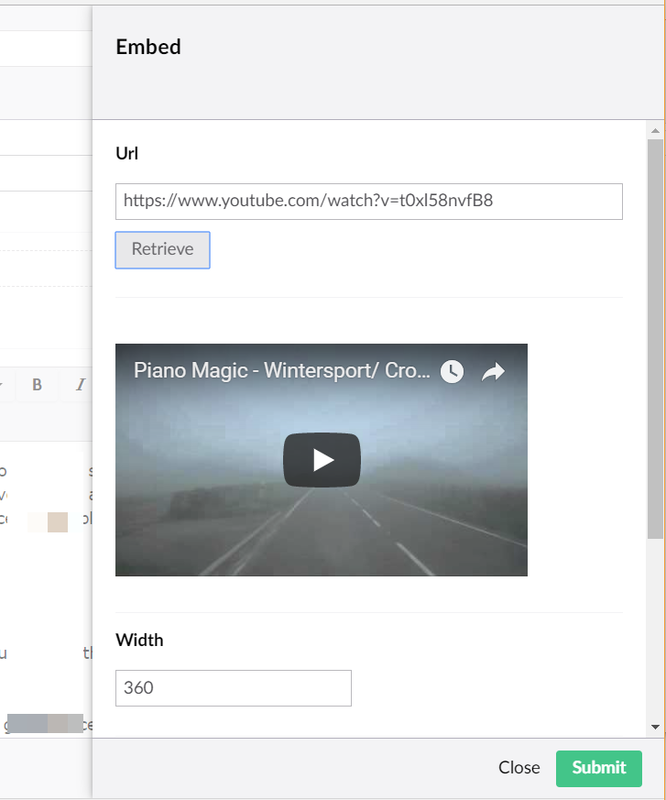 If your third-party media provider does not support OEmbed or there is some quirk with the content being embedded that you cannot use the existing Umbraco generic OEmbed providers, then you can create your own custom implementation of an Embedded Media Provider! SupportsDimension - whether the third-party provider supports the concept of dimensions (eg images and videos). GetMarkUp - the method responsible for writing out the markup to embed based on the Url the editors have pasted into the embed panel. We can create a custom Embedded Media Provider to do the job of taking the Url of the Media asset and writing out the markup required to embed the IFrame in your content.